The nightmare-inducing series based on the hit video game series Silent Hill by Konami Digital Entertainment (“Konami”) returns to IDW this summer with a brand new chapter, Silent Hill Downpour: Anne’s Story. Featuring the dark origins of Downpour’s enigmatic antagonist, this new comic book series will delve deeper into the history of prison guard Anne Marie Cunningham… as well as further explore the fog-shrouded haunted town that is caught between realities. Anne Cunningham set out on a bloody quest for revenge. The mystery surrounding her journey to Silent Hill, and the terrors she faced upon her arrival will finally be revealed, giving readers an entirely new perspective on the acclaimed video game. 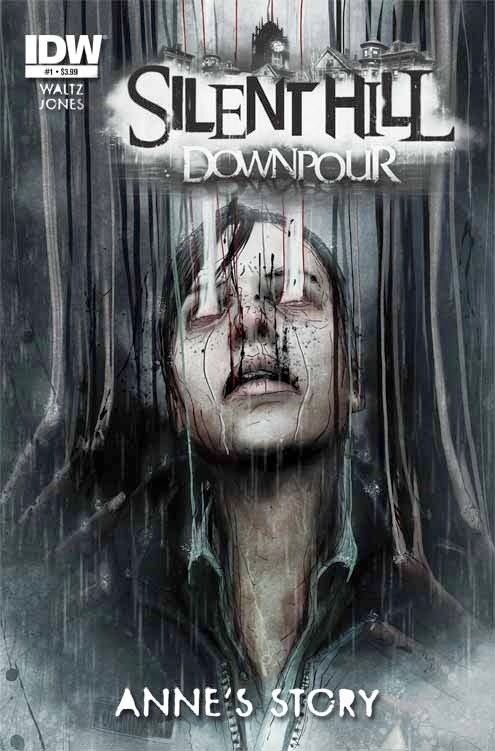 Debuting this August, Silent Hill Downpour: Anne’s Story opens up a whole new experience for fans and players, and stands tall as an horrifying tale all it’s own! Catch up on the previous Silent Hill series’ anytime on read.idwpublishing.com.